What attracted experienced actors Steve Carell, Steve Buscemi and Alan Arkin to such a miserable screenplay? 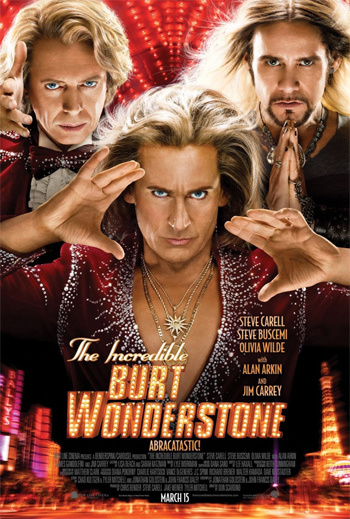 Barely raising a laugh, The Incredible Burt Wonderstone is frightfully dull and predictable, the work of four screenwriters and Don Scardino, an experienced TV director. The best they've been able to provide a richly talented cast is a script that has no urgency, no surprises or any memorable jokes. Do you remember this story? There are two strands: a shallow, self-absorbed man, who treats people poorly, loses his privileges in life. He comes to realise that he needs to rejuvenate himself, understand how much friendship means to him, and that he can share talent X again. If you know this story and have already started reaching for the bucket then you don't need to see Burt Wonderstone. It's as though the filmmakers are sharing a private joke in the cynical and contemptuous way the movie purports to being about celebrities reinventing themselves. "New equals value," we're told. This is from a film that gleefully wastes its stars on a story so tired its growing mould. 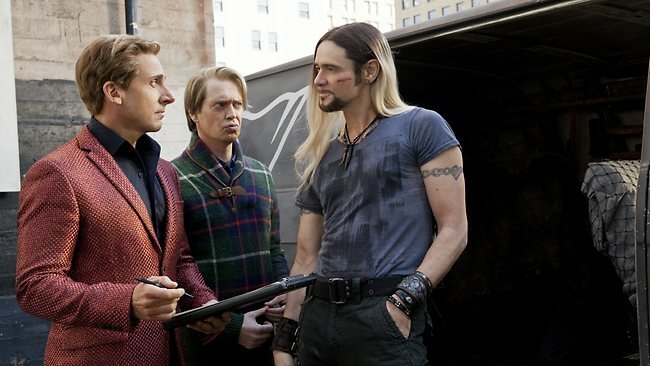 Carell is Wonderstone, a magician who has been with his stage partner Anton Marvelton (Buscemi) since they were children. Wonderstone is rude, arrogant and a womaniser. 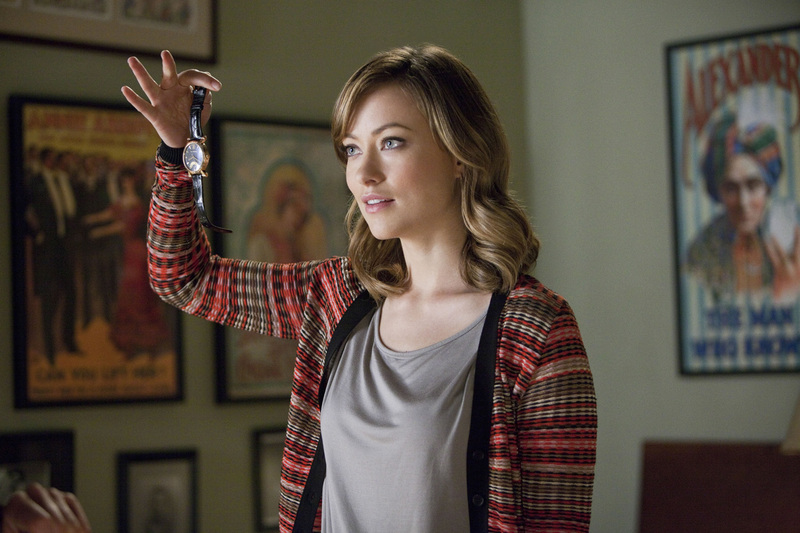 He doesn't respect his staff, including Anton and the stage assistant Jane (Olivia Wilde). He also doesn't want to change the same routine he's been performing for years. But the show's numbers are down and the owner of the Vegas casino (James Gandolfini) isn't happy and wants new material. After trying a new stunt, Anton is injured and leaves the partnership. Meanwhile, radical new magician Steve Gray (Jim Carrey), who specialises in tricks involving mutilation, begins to steal Burt's spotlight. Having blown all his money, Burt is left to fend on his own. After trying to gather help from Jane, he resorts to performing magic tricks in a retirement home, where he meets his childhood idol, former magician Rance Holloway (Arkin). He urges Burt to regain some of his passion. Steve Carell is an often brilliant comedian when he strikes the right notes between an Ordinary Joe, deadpan and just plain daft. With his hangdog expressions, he's akin to playing middle-aged men in crisis. He does this very well. But "pompous" and "womaniser" are not words that I would ever associate with him. He's completely miscast, and overplays his hand at making Burt mean-spirited and arrogant. There's no consistency in his acting style either. The forced snootiness disappears once we reach the second of three long acts. There's really only a skeleton of an old, worn-out story for everyone else to work through here. Characterisation remains achingly thin, with the supporting roles never developed beyond their familiar archetypes: remember the friend, the romance interest, the boss and the rival? Each of these elements feels like it's been punched out by a production line or a marketing committee, especially the romance, where Carell is courting Jane, played by an actress twenty years younger than him. Director Scardino has worked on television shows like The West Wing, Ed and 30 Rock but his contribution here is lazy. There are poorly written and directed scenes, where characters literally sit down to explain the trajectory of each new act. It's been crafted without a feeling for tension, pacing and most importantly, big laughs. The slapstick gags are dumb and obvious, consisting of people falling over, being shot with a nail gun and various other forms of self-harm. If the movie does have anything to say it is about how long people can survive off the same old shtick. But it's a question of self-interest, tested to embarrassing and unfunny new lows.